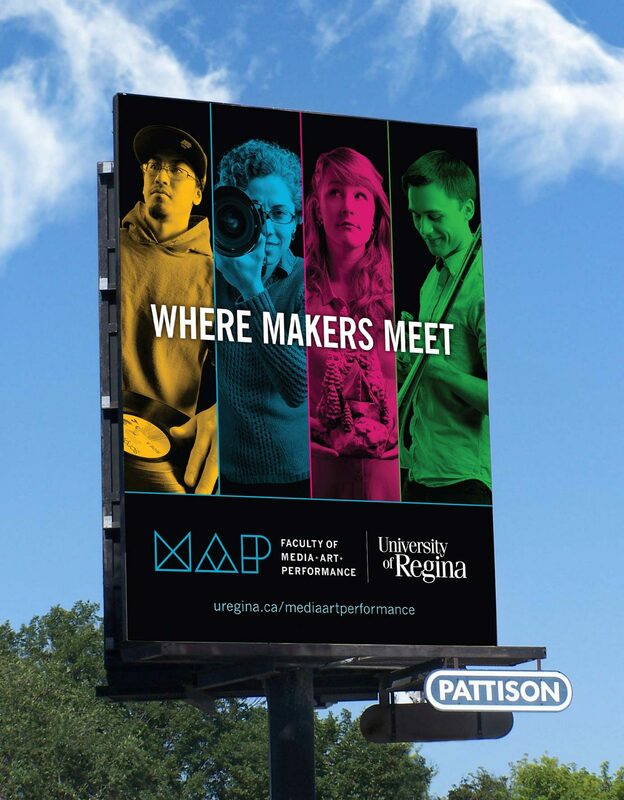 The Faculty of Fine Arts at the University of Regina was facing a challenge. 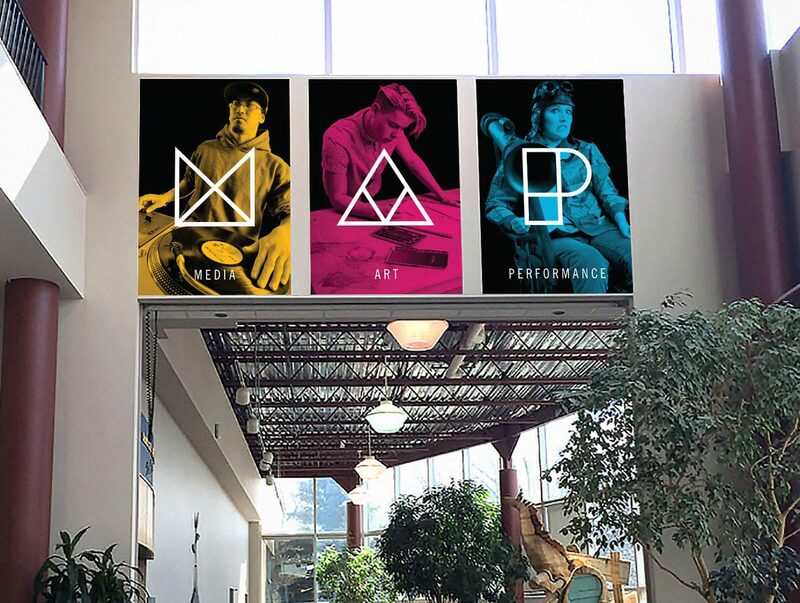 In an ever-evolving age of new technologies, the Fine Arts title seemed dated and out of touch. 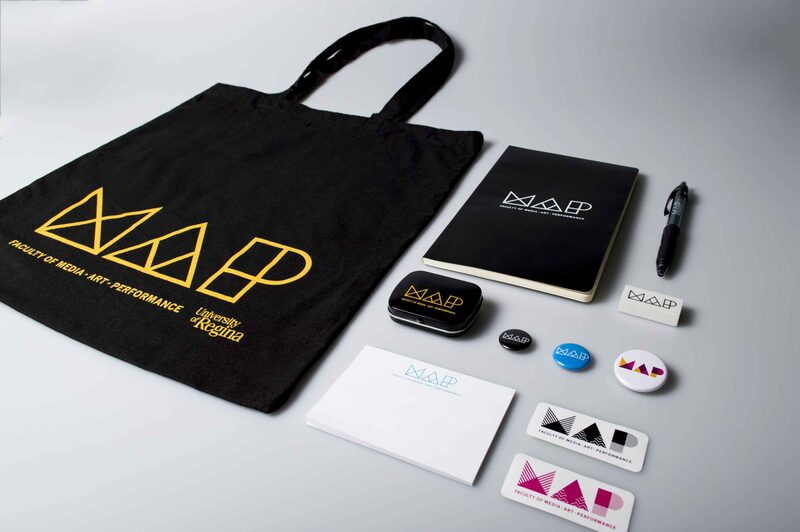 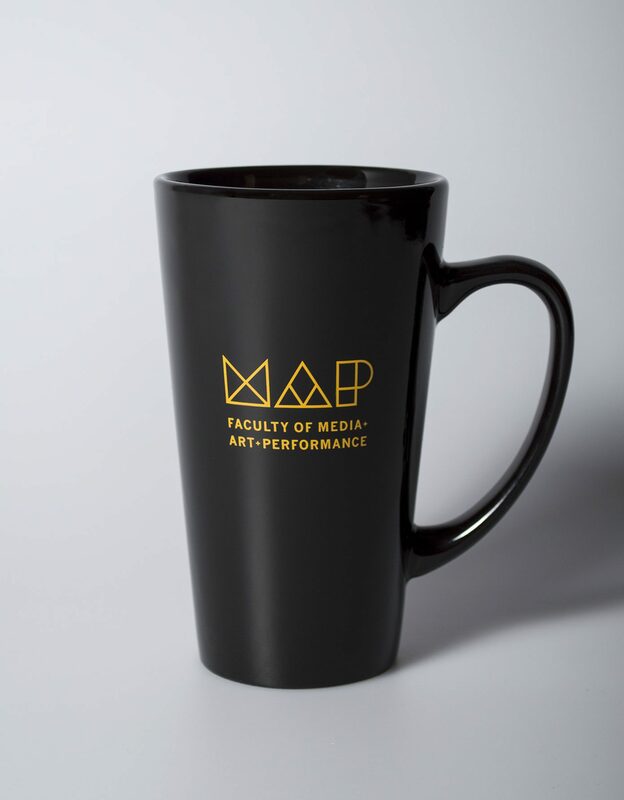 A new name was developed internally, and the faculty of Fine Arts was reborn as MAP (The Faculty of Media, Art, and Performance). 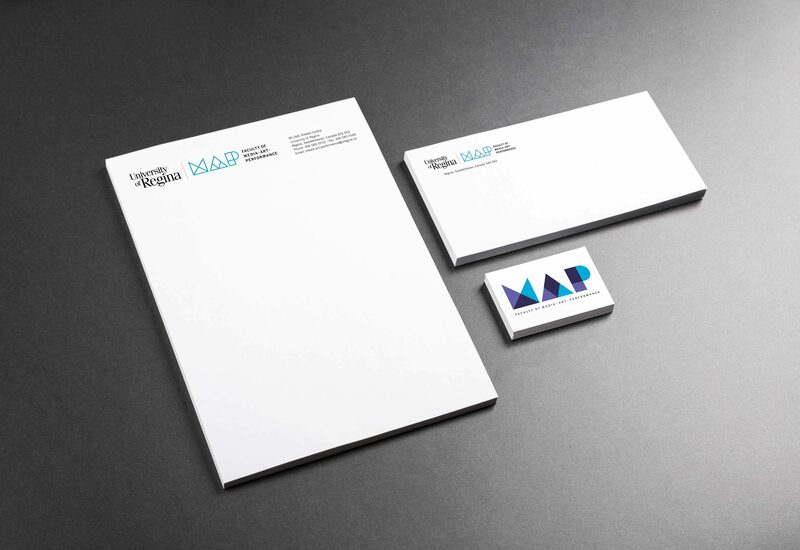 We worked with the faculty over several months to create an entirely fresh brand, including a dynamic logo, tagline, and broad visual language. 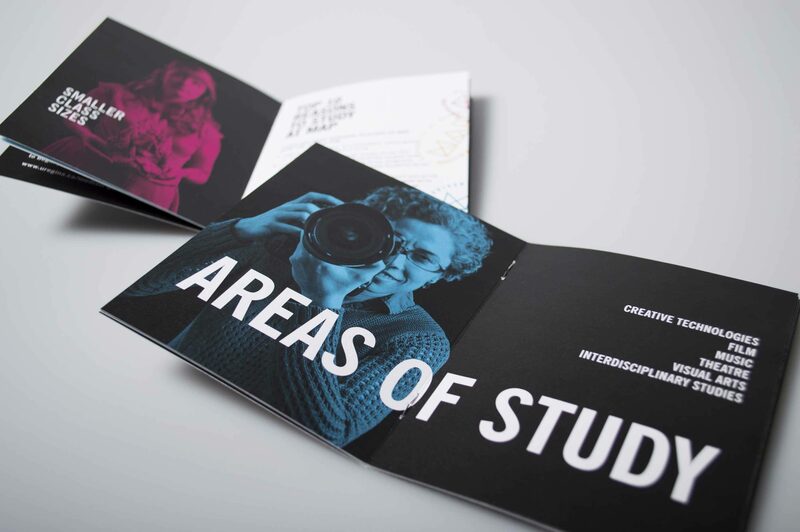 The new identity better articulates the cutting-edge classes and technologies available to students, and resonated strongly with the target audience. 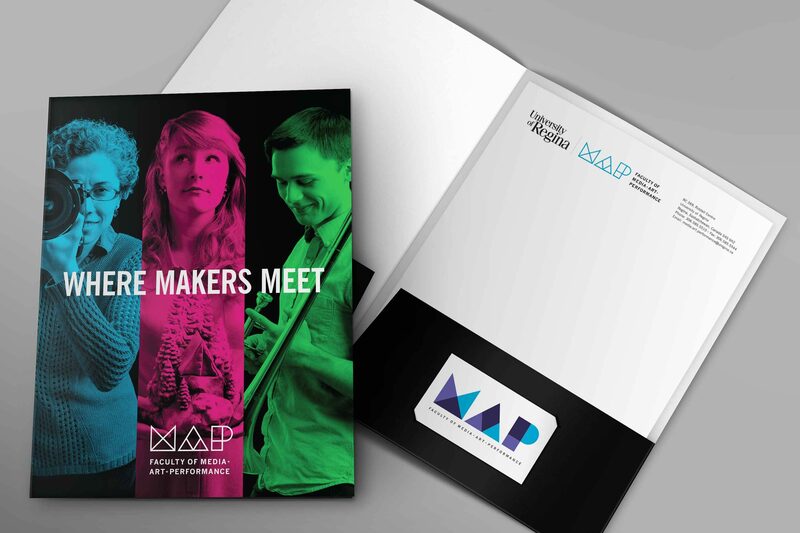 The tagline “Where Makers Meet” promotes the concept of collaboration and what MAP is all about. 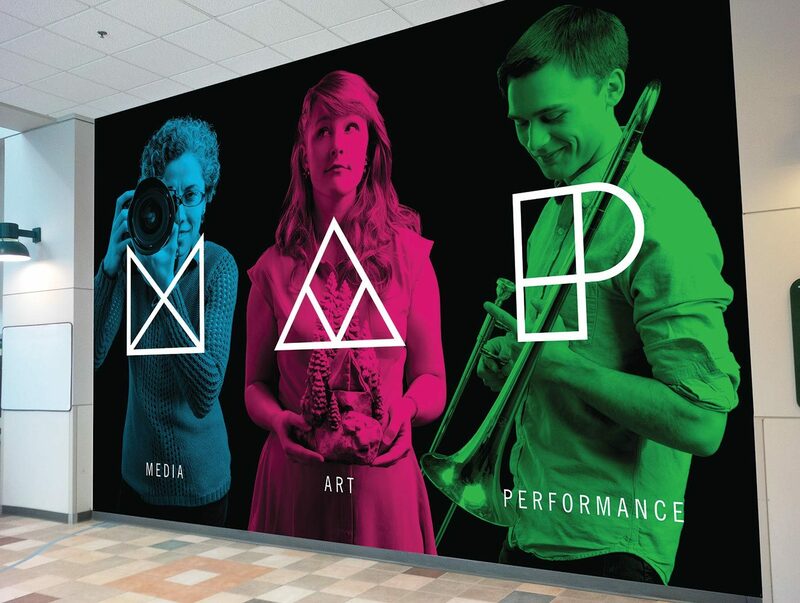 Launched in the Spring of 2016, the new MAP identity was enthusiastically received by students, faculty, and the community at large. 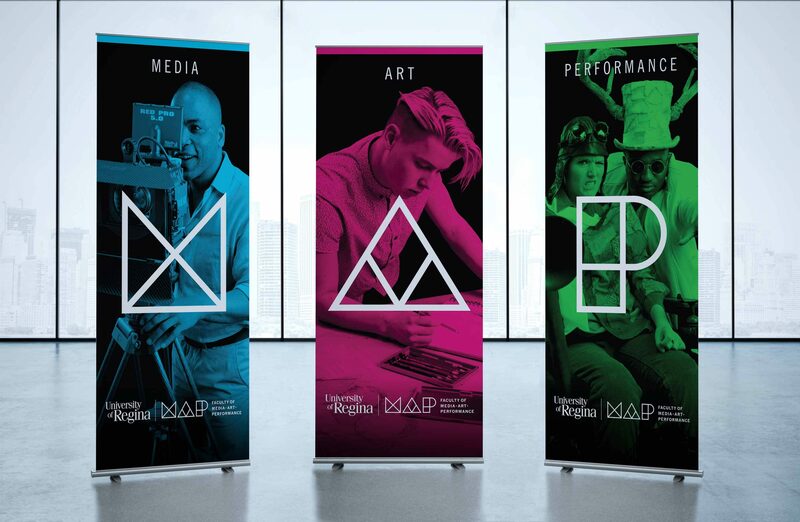 The initial launch campaign included a wide array of mediums including outdoor, television, cinema, online, print, banner ads, social media posts, and various unique promo pieces.